The Battle of the Christmas Adverts | Better Brand Agency. Yep, it’s that time of the year already, the Christmas adverts are here! The nation’s biggest brands, shops and charities all competing for air time and sales through the screens in our living rooms. 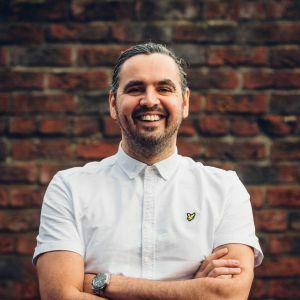 But there’s a bit more to it than that – months of social media planning, endless spreadsheets and millions of pounds spent, all with the aim of raising brand profile, and in nearly all cases, profit too. There’s a recurring theme with this year’s offering, and it’s no surprise that it’s the emotional attachment route that every campaign has taken – playing on customer’s festive hearts and minds. With Aldi going head-to-head against the big four supermarket brands, a solid Christmas campaign is crucial to festive profits. This year’s offering, tells the story of Kevin the Carrot and his quest to meet Santa. Of course, the only way to get there is to make his way across a food-laden festive dinner table – all available at Aldi of course. Created by McCann UK and narrated by award-winning actor, Jim Broadbent, the minute long ad is accompanied by John Williams’ iconic Home Alone soundtrack. At first glance, Aldi have all the right ingredients: a warm and cosy Christmas spread, wrapped in a soft and cuddly voiceover, just the right amount of rustic art direction and we even glimpse Rudolph and Santa flying through a snowy night sky. McCann get extra points for sidestepping the more common brief of ‘togetherness’. Instead, they attempt an alternative ‘night before Christmas’ style fable. The stage looks set for a Christmas classic. At least until we meet the star of the show… Kevin, the Carrot. An anthropomorphic root vegetable, with all the emotional resonance that implies. Beneath the carefully constructed Christmassy veneer, there is also a slightly dark and empty story. At one point, Kevin sees the moaning remains of one of his carrot friends, cut down in the prime of their life. And we never really see what becomes of Kevin on Christmas Day. Perhaps once Santa is done, and Rudolph is back in his stable, poor Kevin will pay the ultimate price for his sleigh ride. This is a Christmas advert that, at first glance, looks the same as the other big brands. But on closer inspection, it turns out to be less satisfying, less polished and leaves you questioning its origins. Those less kind may say that is a perfect match for Aldi’s products, but in reality, it is just a bit of a misfire, one that leaves the viewer cold. On the social media side of things, Aldi have gone with the expected #KevinTheCarrot hashtag, tweeting occasional GIFs of Kevin making snow angels and skipping past gigantic treats. Unsurprisingly, this has resulted in nominal customer engagement and interaction. Overall, a pretty poor campaign, with little emotional attachment. Surprisingly for Aldi, it’s also short on humour. From a brand perspective it feels like a missed opportunity. Aldi could have expressed their authentic ‘more for less’ position, or even their ‘underdog’ position, or even push a ‘put the money to better use’ campaign – particularly at this time of year. Mrs Claus steals the limelight in this compelling ad created by RKCR/Y&R. Taking a luxurious three minutes to tell the tale of mischievous Jake and his long-suffering, older sister, Anna. After spending the past year arguing, pulling pranks on her and even ruining Anna’s favourite trainers, he decides to surprise her with something special for Christmas. While Mr. Claus is off around the world on his sleigh, Mrs. Claus nips through her walk-in workshop and powers into her frozen, festive bat-cave. Soon, she is tearing across the night sky in her customised chopper, to hand-deliver a pair of red, glittery trainers to Jake’s sister. Some big themes are made engaging and relatable by a slick script and a wry, sophisticated turn from Oscar-nominated Janet McTeer. It’s the perfect package from M&S, effortlessly playing with themes of unity, reconciliation and equality, while staying classy, modern and reassuringly traditional. This isn’t just any ad, this is an M&S Christmas ad. Mrs Claus is set to take over M&S’s social media accounts in the run up to Christmas. Perhaps most surprisingly, it seems M&S have brilliantly worked with Twitter in creating a custom emoji for the #LoveMrsClaus hashtag, mirroring similar campaigns like #ShareaCoke and those for various international events like the Olympics and the World Cup. If we were talking about the digital campaign only, they would win hands down, with their ability to build social engagement and user-generated content without little to no effort – and it’s pretty obvious that the custom emoji has contributed towards this success online – I mean, who doesn’t love an emoji? Although the entire campaign is integrated well, and completes the brief of appealing to all ages in such an effortless manner, it’s really quite surprising given M&S’s usual older demographic. Perhaps the conscious effort to create a stronger digital campaign this year, is in a bid to win over millennials, who, let’s face it, would most likely choose other high street brands over this one when it comes to fashion. It remains to be seen just what their intent is here, whether they are attempting to make a shift towards a younger market going forward, but this definitely indicates some sort of new initiative. As is so often the case, Waitrose look to appeal to the viewer’s emotions by telling the story of a girl waiting for a robin to come home for Christmas. The robin travels over land and sea, finally reuniting with its robin companion, to share a Waitrose mince pie on Christmas Day. A kind of BBC Planet Earth does Christmas, from Adam & Eve/DDB, set to a suitably grand soundtrack by Icelandic composer Jóhann Jóhannsson. It’s a beautiful piece of visual storytelling, relying almost entirely on the stunning photography and the CGI performance of Scandi, the robin. The simplest ideas are often the best, but they are also notoriously hard to pull off. Waitrose blends a simple story with epic production and a lead character that feels a billion times more engaging than a kamikaze carrot. It’s a good fit for Waitrose: Simple, understated, high quality with a wholesome feel. As the end line says, “At Christmas, there’s nothing quite like Waitrose.” Especially if you live north of Leeds; where there is, quite literally, nothing like Waitrose. Interestingly, Manning Gottlieb OMD who are responsible for media buying and planning, have also developed an interactive game around the robin’s journey for social and online channels. For social media, Waitrose have gone for the rather generic #HomeForChristmas hashtag. Now, taking a closer look at what is happening over on the Twittersphere, it appears people have already got this confused with Heathrow’s ‘Coming Home For Christmas’ campaign. So, even with a strong advert, the online strategy doesn’t seem to tie-in or resonate in the same way that the TV campaign does, allowing its power to diminish when it crosses channels from first screen – being the television – to second screen, on smartphones and tablets. It’s to be expected that a tv campaign backed with millions of pounds of budget can be somewhat diluted when it comes to the social media strategy, but when you compare it to the likes of the #BusterTheBoxer campaign from John Lewis, this seems a little lacklustre in the digital stakes. Similarly, Waitrose is selling a children’s book inspired by the advert by the infamous children’s author Michael Morpurgo, and with an interactive game to boot, Waitrose’s campaign may find success and longevity this festive season. Probably the most anticipated of all the Christmas adverts, John Lewis return with Buster the Boxer. The advert features Buster watching on, as the resident nocturnal wildlife leaps around the family’s new trampoline. But Buster’s frustrations only last until the following morning, as he bounds his way onto the trampoline ahead of the family’s daughter – all soundtracked by Vaults’ cover of ‘One Day I’ll Fly Away’. Much like Waitrose, this is a simple story told completely without dialogue. In terms of tone, it sits somewhere between M&S and Waitrose. In many ways, it feels like a smaller scale version of the Waitrose ad, using less drama and more humour, focusing entirely on the excitement and anticipation that is part and parcel of Christmas. After a slightly more abstract approach last year, with the lonely old man on the moon, it feels like they’ve fallen back to much safer, far broader, creative territory. It’s no surprise that the ad is made by the same agency as the Waitrose ad, Adam & Eve/DDB, and ultimately is for the same client. Although the John Lewis ad launch has become something of a Christmas event, in many ways they have become a victim of their own success. With expectations riding so high, anything short of a tear-jerking, life-changing moment of epiphany will be seen as a disappointment. In fairness, as simple and as safe as it is, this is a good ad. But it’s up against stiff competition this year and when you really deconstruct it, this is little more than a hollow mnemonic, like the Dulux dog or the Andrex pup, that serves as an excuse to sell cuddly toys. Behind the immediate charm of watching a dog having fun, there isn’t a lot there. 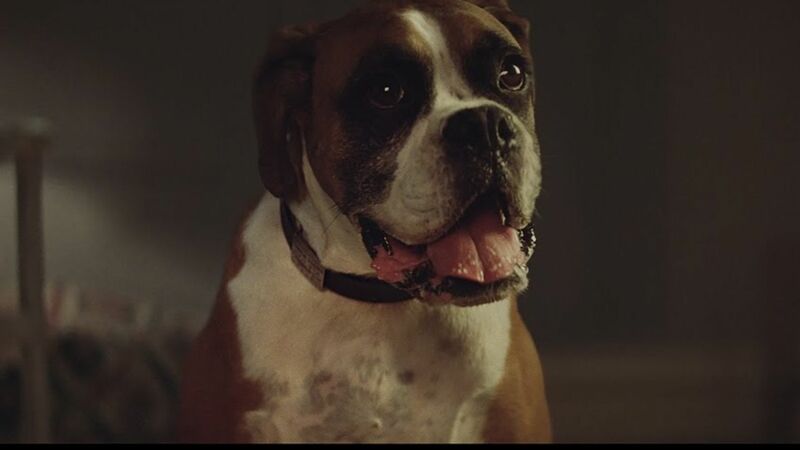 The campaign has already sparked user-generated, viral content on platforms such as Facebook and Twitter, like this one named ‘Buzz the Boxer Loving John lewis Advert‘, where a family’s dog attempts to imitate the advert by jumping up in front of the television. John Lewis also very cleverly teased the advert online weeks prior to the TV ad launching, using sponsored content across Facebook, Instagram and Twitter with the #bouncebounce and #BusterTheBoxer hashtags. It is obvious from this alone that they wanted to gather momentum first, targeting specific demographics across the web to attract welcomed engagement, pace and interaction before the main show commenced. Because of this genius, it appears the ad will remain relevant and topical over the next month online. To boost the campaign, John lewis have also produced a range of Buster and Friends toys with 10% of sales going towards The Wildlife Trust. They’ve even created a 360 degree view of Buster’s garden, accessible from your computer screen. Whilst not as impressive as previous years, John Lewis’ 2016 offering ticks all the usual festive boxes. But, whether it can recoup the reported £7 million cost, remains to be seen. Created by AMV BBDO, Sainsbury’s festive offering has a musical theme, featuring animation puppet Dave, who wants to spend as much time with his family as possible. It feels a little bit like they’ve thrown everything, plus the kitchen sink at this, but unfortunately this is a case of more is less. The main underlying message of the advert is that the best gift you can give at Christmas is spending time with your family, rather than spending money. But that seems a touch hypocritical in an ad that is basically trying to get you to spend money. The lengthy running time doesn’t help and neither does James Corden’s singing. It tries so desperately to charm, but compared to this year’s more emotive, more minimal efforts – and even Sainsbury’s 2014 offering, Christmas Truce – it fails miserably. Following on from previous years, the social media campaign takes the #ChristmasIsForSharing hashtag. 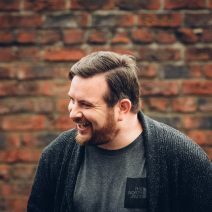 On closer inspection, Twitter is on fire with love for the advert, and for James Corden, and is alight with user-generated content in the way of recipe sharing in accompaniment to the hashtag. The supermarket has also tapped into the popular Friday night Channel 4 programme, Gogglebox, using the familiar faces to bolster their ad campaign and their products with video content from the show embedded into their tweets. There’s also a huge focus on raising funds for Great Ormond Street Hospital Children’s Charity, with profits from the sale of every single Gingerbread ‘Dave’ and The Greatest Gift film animation kit, going straight to the charity. Moving on from last year’s popular cat Mog, Sainsbury’ have managed to introduce new characters and a different focus while staying true to its sharing roots. However, there’s doubts over whether it can match the impact of its competitive rivals. Narrated by Stephen Fry and created by the masterminds behind Wallace and Gromit, Alzheimer’s Research UK’s entry is more of an appeal than an advert. With the rise in awareness of alzheimers over the past year, this advert sheds a different light on Father Christmas. It’s a million miles away from the sales-driven, snow-covered family scenes of supermarkets and shops, but its message is far more important. The animated short follows a girl called Freya who has grown up without Santa. When she finds out why, she sets out to solve his disappearance through her belief in science. This is a powerful message, executed perfectly as a sort of dystopian, yet hopeful, Christmas fable. What works really well, is the way they reframe the nature of belief. While the girl still believes in Santa, both the elves and the viewer are asked to put their faith in science. By texting, BELIEVE to 70755, that belief becomes tangible, donating £5 to a very worthy cause. The poignant hashtag #SantaForgot has been adopted by Alzheimer’s Research UK across their social media channels, and provides a simple yet brilliant way to publicise the charity, raise awareness of the disease and help find a cure. With access to additional content online, surrounding the advertising campaign, such as behind the scenes footage of the creation of the story and animation, to the real-life account of Ciana Ayre, the voice of Freya, who sadly lost her father to early-onset Alzheimer’s at 51, the digital campaign offers more to the audience and broadens the horizon beautifully when it comes to awareness of how Alzheimer’s can affect us and the ones we love. The first ever Christmas offering from Heathrow Airport comes in the form of this minute-long teddy bear animation. It’s warm and heartfelt, focussing on an elderly Mr and Mrs Bear travelling to London for the festive period. The couple struggle through the airport battling with conveyor belts, escalators and shortbread, to a musical soundtrack by Chas and Dave. All things considered, Heathrow seem to have entered the world of Christmas adverts in a respectable style. There appears to be no clear hashtag or strategy at all for that matter, when it comes to social media, with the airport tweeting just the once using #BestGiftOfAll – certainly not the clearest and most engaging hashtag this festive season. Naturally, people appear to have latched onto #HomeForChristmas, which has caused confusion with the Waitrose campaign. In our opinion, the airport are missing a real trick here, with the ability to engage with potential holiday-makers through sponsored content and targeted advertising, as well as a campaign that is trackable through one clearly-defined hashtag to gauge its popularity. Perhaps they will up their game next year after having dipped their toe in the water this year. Okay, so maybe not a specifically targeted Christmas ad, Amazon Prime’s latest offering still creates a feeling of seasonal goodwill. An ageing vicar and Imam who are lifelong friends, share a cup of tea and a chat, before coming to the realisation they aren’t quite as youthful as they once were. One day, the vicar has a moment of inspiration and decides to buy his friend a surprise present, only for the Imam to have had the same idea. It’s a more low key release compared to others, but Amazon Prime’s effort stands toe-to-toe with any of the Christmas advert giants. Whether by accident or design, the ad has ended up being spectacularly topical and relevant. At a time when the most powerful man on Earth just got elected on the back of promises to ‘ban Muslims’, Amazon make their opposing stance clear. This is a creative take on the theme of unity, it shows faith without being preachy and it shows togetherness without relying on a family around a Christmas table. It’s a quiet, simple, take on a huge theme that could have so easily have gone wrong. Despite a distinct lack of CGI animals, epic soundtracks or James Corden, it succeeds. Seeing such a huge brand, that sells almost everything, build their creative around the theme of inclusivity, feels not only appropriate but also immensely satisfying. With no clear digital strategy, the ad may struggle with engagement and interaction through social media channels, but still, the strength of the message has enough value and meaning to make an impression. What are your thoughts on this year’s festive advertising? Do you have a favourite, or disagree with our comments? Join the conversation on Twitter by tweeting @better_studio with the hashtag #BattleoftheXmasAds and your message.